If you or a grandparent in your life is getting closer to Medicare enrollment age, don’t freak out! We’ve just been through the process here so I can assure you that it’s probably an easier transition than you think! Anthem, Inc. and its affiliated Medicare health plans provided information for this post. I’m happy to have the opportunity to partner with Anthem to share a few things that made the Medicare enrollment process easier for me! I turned 65 earlier this year and I spent a lot of the last year feeling a bit confused and concerned about getting everything together for my Medicare enrollment. Thankfully I had Mariah by my side to help me sort through all of the information that was coming my way. If you have a parent or a grandparent who’s approaching Medicare age, they’re probably getting a lot of mail about it. It can feel really overwhelming. Once we sat down together, did a little research and looked over everything, it seemed to make much more sense. I was glad that I had her support. We followed a few simple steps to help me feel prepared for the transition from health insurance to Medicare! The best thing to do is know when you can finally make the transition from health insurance to Medicare. Know the date and put it on the calendar. For most people, this is a period of time that begins three months before the month of your 65th birthday and ends three months after it. Mark that first month on the calendar and set a goal to be prepared for Medicare enrollment by then! I knew I wanted to get my enrollment done as early as possible so I didn’t have it sitting on my To Do List month after month. Plus, if you want to do your enrollment you might find that you have limited options and could be looking at higher costs. So just be prepared. Put it on your calendar and stick to that goal date! As I’ve gotten older I’ve figured out that there’s nothing to be afraid of! I’m all about experiencing new things and adventures now that I’m retirement age! So I wasn’t about to let Medicare slow me down because I was afraid of it! One of the biggest things I struggled with was figuring out what everything meant. Figuring out what the different terms meant and which coverages I wanted was one of the most overwhelming parts of preparing for my Medicare enrollment. Anthem has a great infographic that makes it so clear! It explains all of the plans in a clear and concise way. You can see at a glance what the difference is between Medicare Part A, B, C and D. It makes it all seem so simple! 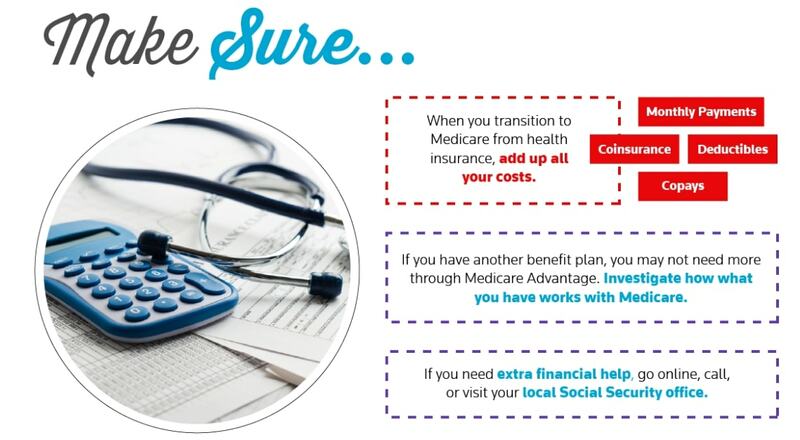 Visit the Anthem website to view the full infographic and to get additional information on how to make the choices you need for Medicare Enrollment. Anthem makes the research so easy to do and so easy to understand! Once we had sat down and started doing out research, I was able to feel much more confident when it came to the numbers. It’s important to add up all of the costs you might be dealing with. The premiums are the main cost but they aren’t the only thing you’ll be paying for. Look at things like copays, coinsurance a, d deductibles to make sure you have the full picture. Then you’ll be able to easily compare what you’re paying with your health insurance to what you’ll be paying once you make your transition to Medicare. Then you’ll be prepared and you won’t have to worry anymore! You can focus on the things you really want to focus on during this time of life! Based on my experience, the best thing you can do is just take a deep breath and dive in. Don’t let the fear or lack of knowledge stop you from getting ready for your Medicare enrollment! Once you get it done, you’ll be ready to enjoy your days as a grandparent without worrying about your health insurance! Visit anthem.com and check out the full infographic for even more helpful tips! 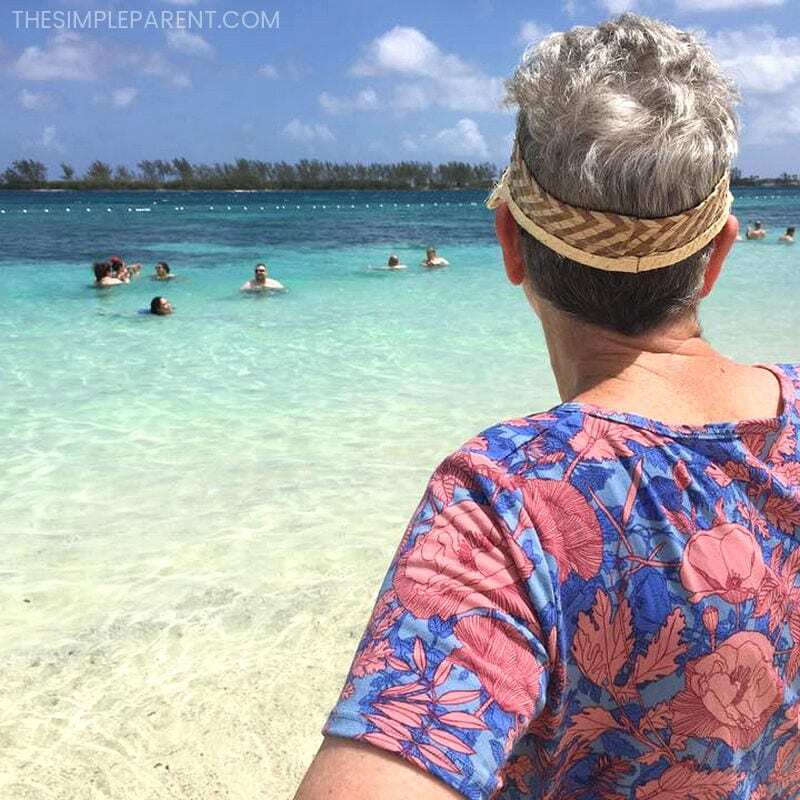 You can also check out our other easy tips for how to enjoy retirement! Becoming a grandmother was one of the greatest days of Carey's life. She never wanted to be called grandma and instead settled on Grambo, the Rambo of Grandmas! Now she needs all the survival skills she can get as she lives under the same roof as her grandkids. It's an adventure but one that keeps her young! 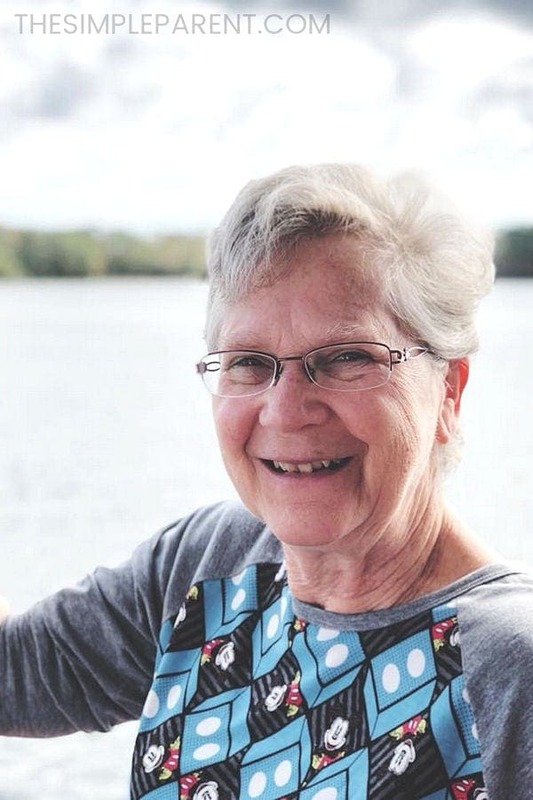 You can read more about her adventures at Call Me Grambo!